One of the features that I like on Facebook is ‘timehop’. When the system refreshes your memory of what was happening on this day in your personal history. 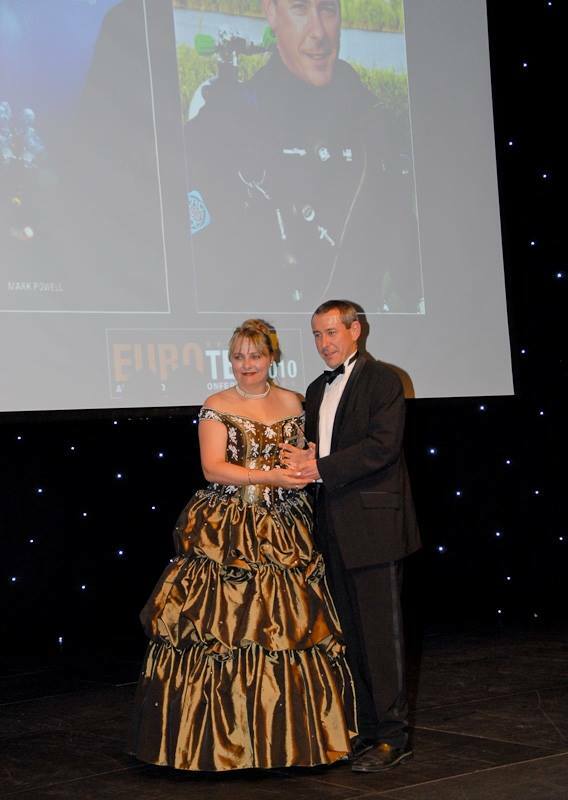 This morning it reminded me about EUROTEK.2010 and the awards. Eight years ago I was delighted to award Mark Powell the EUROTEK Publication Award for ‘Deco for Divers’ Mark had previously launched this book at the inaugural EUROTEK back in 2008. I had a dig through my computer and found my speech. “One of the nicest things about diving is that it covers many topics – you can learn about maritime history, or become a champion bug spotter of all things soft and squiggy. And the other great thing about diving is that you can never stop learning. One good way of getting valuable and pertinent information is through the media and publications. Tonight the EUROTEK Publication Award is being given to a diving book. Diving books can cover so many aspects such as adventure and friendship, and I’m thinking of ‘Shadow Divers‘ here. Or they can cover more serious subjects. One publication keeps on being talked about, praised, poured over and devoured because it has proved to be very useful for many divers. They have said this is “the Best book a diver can buy” and “a must for all divers“. It’s also “a solid and practical guide that is well written and hard to put down“. Another comment was “it made the theory easier to understand“. And “I have been diving for 26 years and am qualified to teach. This book has made me aware of so many aspects of diving and opened my eyes as to what goes on whilst I am underwater and surfacing again“. So what is this useful, easy to understand and well written book? Perhaps it might help if I added “one of the best explanation of M-Values I’ve come across” and “if you are sincerely interested in the theory behind decompression and differences between different algorithms, this IS the book to buy“.